This is an area I’ll probably never complete in any real sense. Places like Churchill’s Pub, Kevin Barry’s, Molly McPherson’s Scottish Pub, and the Distillery pop up on “best of” lists with some frequency, but I never made it to their locations. Many of the eateries I have already reviewed (Dub’s Pub, The Cotton Exchange, B Matthews) have entirely functional bars. 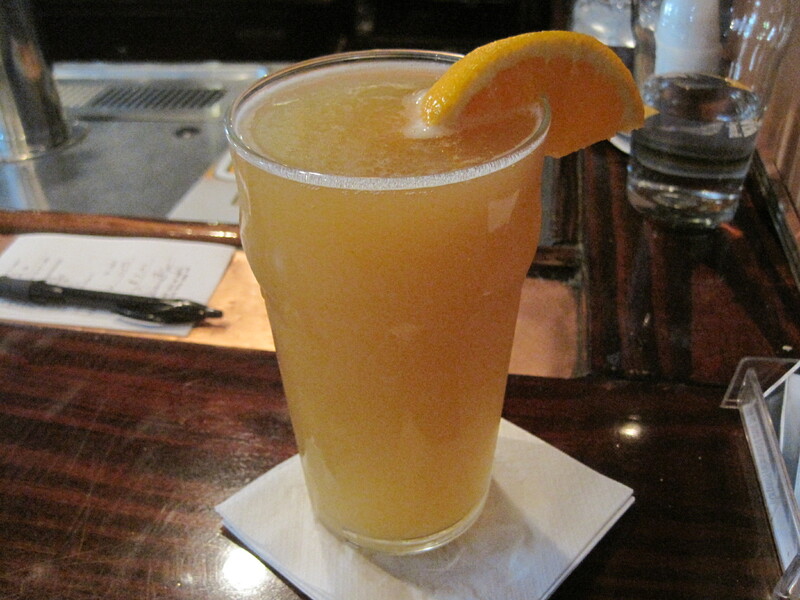 What we will be talking about briefly is Moon River, advertised as the only brewpub in town. Moon River strikes me as a little troubled. The beer is good, the staff are notably indifferent to customers, sleepwalking through their jobs. Receptionists seem unable to find or see customer seating, even when it is in plain view. Bartenders forget to offer menus to customers. Staff are polite and cordial, but only that, and that’s really the issue here. No one wants to be the client in this old joke about Rogerian therapists. I suspect staff issues in Moon River are new, as you can see a pattern of bad reviews, harping on staff, beginning in the spring of 2013 on Urbanspoon. It has gotten bad enough to affect the Urbanspoon ranking. A 74% rating is relatively low for an eatery with Moon River’s aspirations. Moon River has a solid wit. The drafts, such as they are, tend to be sweet. That’s probably an issue more for older drinkers than anyone else. Moon River wants to attract young drinkers. Who cares? If you need bitter, you can always try Moon River’s IPA. What I did try was their brown ale and their wit, both good solid beers. The beer is good enough to recommend the restaurant. I’m hoping the staff issues are a passing phase, and not endemic to the restaurant itself. One of the first sights when headed to River Street, especially if you walk from, say, MLK drive to Bay and then onto River Street, is this eatery embedded in the cobblestone walls of Savannah. 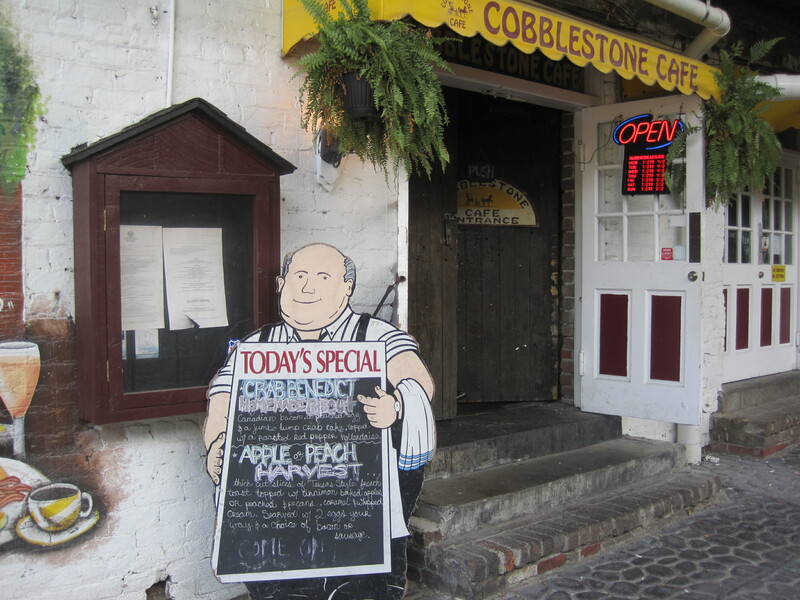 The Cobblestone Cafe, where I ate in my last trip, has decent food and in our experience, entirely respectable, responsive waitstaff. It is, however, expensive, and those prices leave folks with the feeling that the cafe is something of a tourist trap. 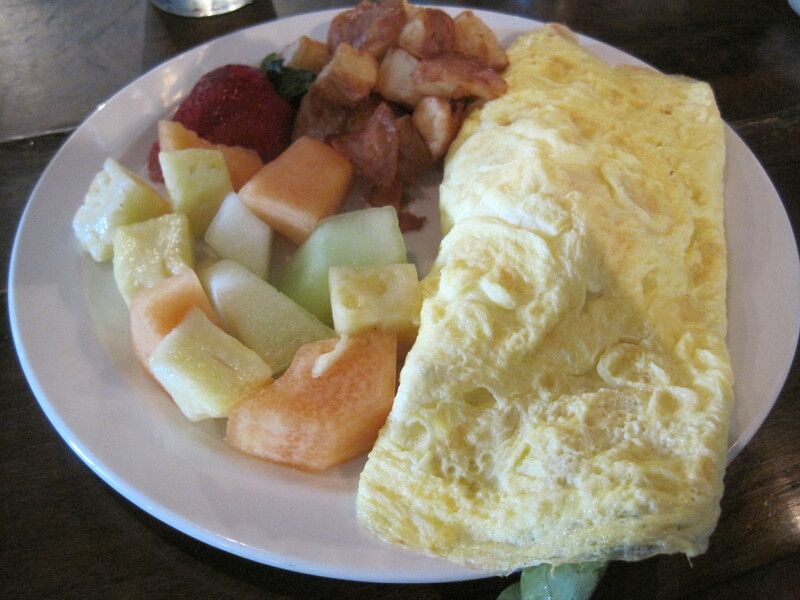 On Urbanspoon, of 53 Savannah restaurants rated as breakfast sites, it is ranked 53rd. We liked it. You may not like the prices. A better deal is a restaurant on Bay Street, B Matthew’s Eatery. It is respected, winning or placing in Best Breakfast awards pretty routinely. Those of us who have seen a bistro or two will be immediately familiar with the layout and find it something of a mainstay for breakfast, lunch, or dinner. It is much further east than Cobblestone, but if you have enough energy to walk along River Street to Savannah’s Candy Kitchen, then the stairs heading upwards, towards Bay Street, just east of the Kitchen put you within an easy walk to B Matthews. Can get more than breakfast here. Essentially a modern restaurant. If B Matthews were transplanted into Decatur Ga, no one would blink an eye. When we went, we were told there would be about a 40 minute wait. Clever positioning of tables led us to getting seated in 15 minutes instead. I like the staff here, aware and responsive to customers and their needs. Working with us while handling 3 parties well in excess of 12 people each was appreciated. It’s a smaller restaurant. Those three groups used up the majority of tables in the place. It has bar seating (where we eventually ended up), brick walls, black wooden roofs, and track lighting. Breakfast options are reasonable and flexible. The Big Salad. Terrific balance in this salad. It may have been the best of the breakfast items that day. 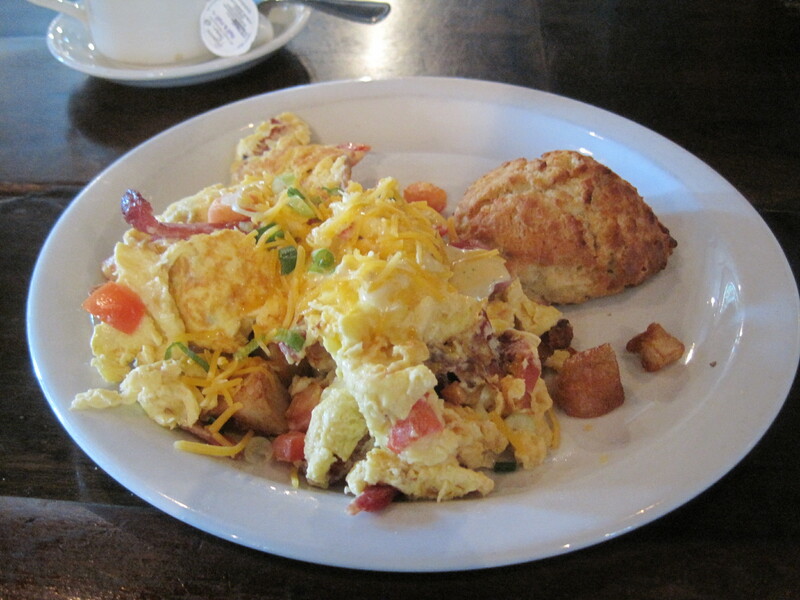 I had an omelette, my wife had a salad, and my daughter had their well regarded Bay Street Scramble. All the main items were 9 dollars or less, and drinks and other extras entirely reasonable. 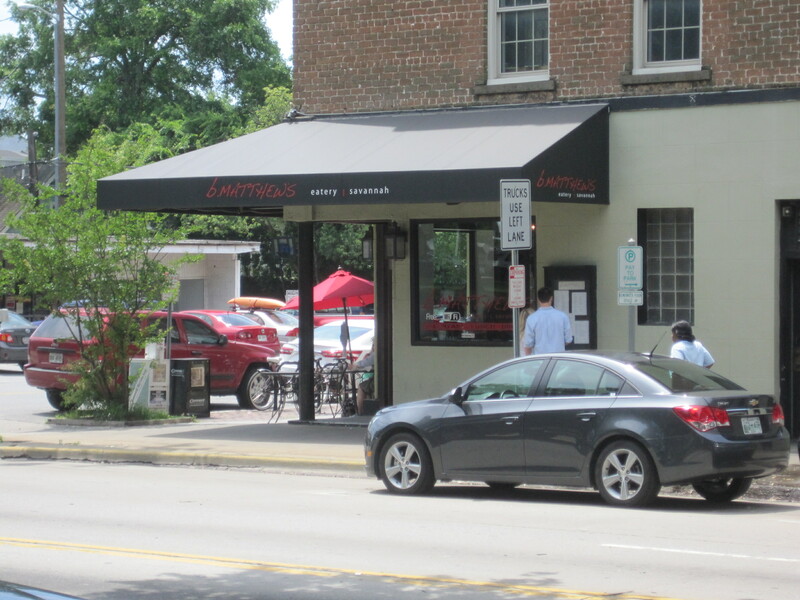 I’d go back – plan to actually – to B Matthews, and I’d have no problem having three meals at a place this well run. Notes: The blog “Outside the Den” has a visually appealing review of B Matthews. This Memorial Day we headed out to Savannah, not having been in ages (in fact, the last Savannah trip we took predates my last camera). It was an emotional necessity. After arriving, I pretty much ate and collapsed, sleeping hard almost all of the night. I want to compose my thoughts and offer specific suggestions in a couple follow up posts, but for now, I’m trying to sort through thoughts and such and talk about more general issues in terms of a Savannah trip. Sights and sounds unlike most American cities. If you’re looking for a cheap place to stay near Savannah, your best bet is out by the airport. Hotels close to River Street tend to charge around $200/day during the peak (summer) season. You can beat this in part by coming off peak (e.g. February and March), but I can’t promise you any bargains anymore. The inexpensive hotel I used to use is now a grassy field. Of course, with a 4 hour drive from Atlanta to Savannah, Savannah is suitable for a one day tour. Drive in, fight for parking, and leave, either to home or parts north and south. If you want places to eat that appeal less to the tourist and more to the foodie in you, the walk along Bay Street will be more accommodating than River Street itself. Yes, there are bargains along River Street but you have to look. Nice seafood places tend to run high 20s to low 30s for their fare, and after having great experiences in Tybee Island and indifferent experiences along the River (the Cotton Exchange being a welcome exception), best to save your seafood dollars for a jaunt towards the Island. I highly recommend the Discovery Map rendition of Savannah, and you can get one in advance here. Don’t click on the state. The Savannah map is in the dropdown below. 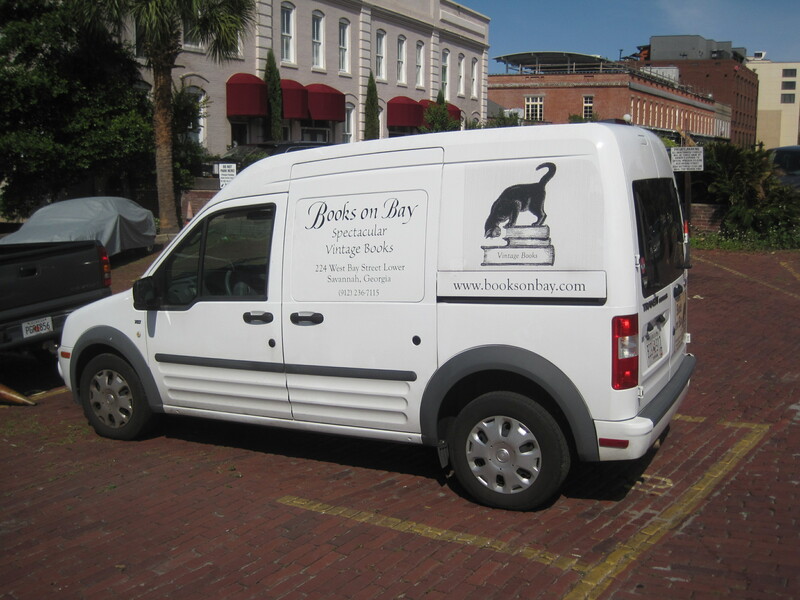 If you’re already in Savannah, you might check out Dub’s Pub, because that’s where I picked up my copy of the map. Another resource is the work of Michael Karpovage, a Roswell GA resident. His Savannah Historic District Illustrated Map “map of Savannah is available on Amazon.com. Connect Savannah is a tabloid format publication that appears to mirror Creative Loafing in many regards. When we arrived their “Best of Savannah” issue was on the news stands. They have a web site, and “Best of Savannah” has a prominent place on their front page currently. Almost completely over the top are the candy stores along River Street. 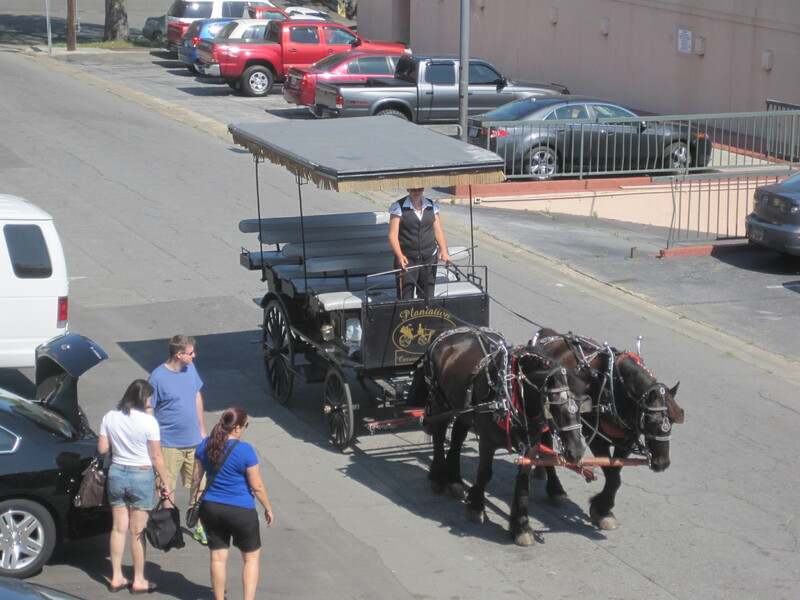 If you have a child from age 6 to 60, it is very hard to resist Savannah’s Candy Kitchen or River Street Sweets. These have become must stops when we show, and when my daughter was little, she cried so hard when we were trying to leave, it took us another half hour to get home. Yes, well known Atlanta foodies with small children, I’m waiting to hear about the response when your youngsters see the place. The collection of children’s books here is phenomenal. 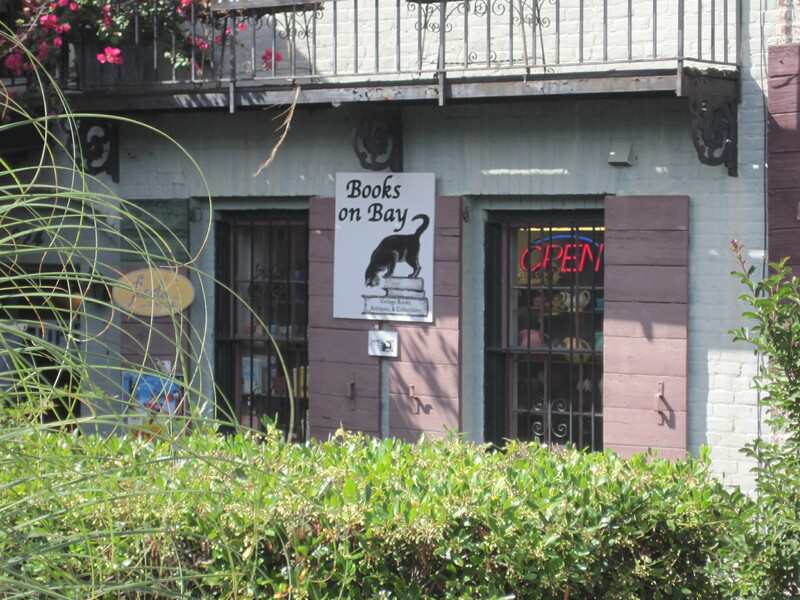 Bookstores: There is a spot called Books on Bay that deals in antiques. In particular, they are very interested in old children’s books and series. Things like old Oz books, Nancy Drew, Hardy Boys, and to my once 12 year old mind, a surprisingly large collection of Tom Swift books of various and sundry kinds. 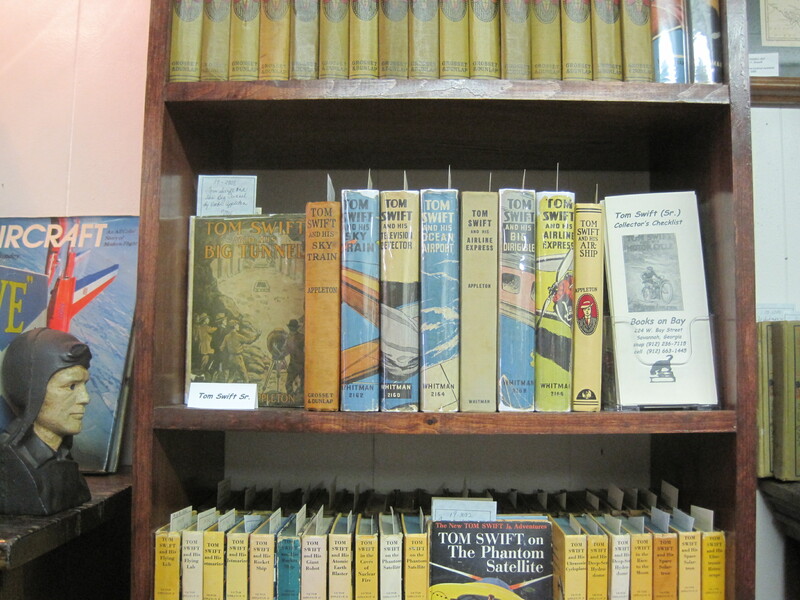 I was a voracious reader of Tom Swift Jr and have always held a certain desire to read a few of Tom Swift Sr’s books. They have quite a few of these there. Yes, Grant Goggans, if you like comics, I suspect you could get lost in this store. Biggest surprise in Savannah? In many respects, It might been Dub’s Pub, also called Dubs, a Public House. It was near where we were staying, easy to access via stairs and an alleyway. They are advertised on Urban Spoon as a gastropub, though it was hard to tell when we went. They were down to only tacos when I arrived. Their beer selections are good, however, and they sell beer flights. A flight is 5 different selections of beer, 4 ounces each, all for a reasonable price. I had never had Tybee Blonde before, and sandwiching that between a Bells and a Allagash wasn’t so bad at all. 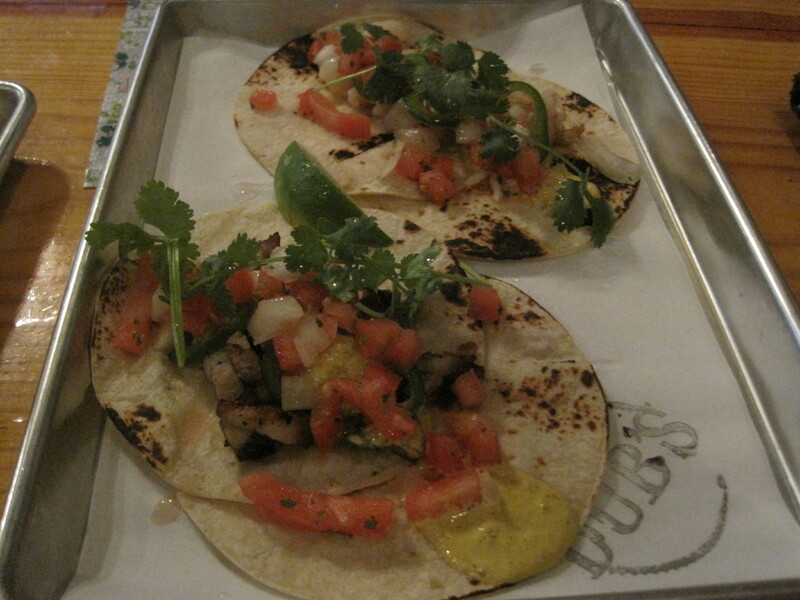 Pork and shrimp tacos from Dub’s Pub. The shrimp, if I recall, had a delightfully spicy bite to it. The tacos at Dubs were really good. 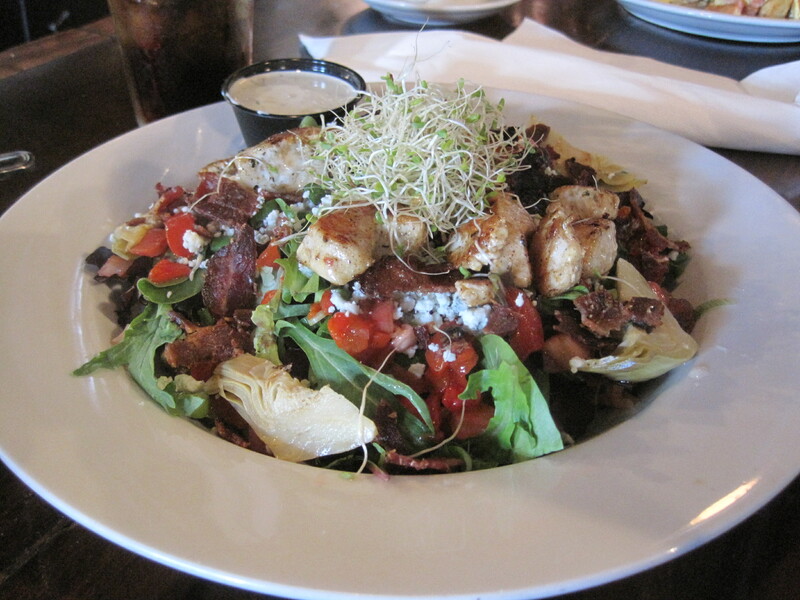 The vibe is more that of an upscale sports bar, with some quality food. I didn’t eat enough to pass judgement on “gastropub or not”, but nothing I saw or had would lead me to think otherwise. It was nice enough that on a quiet day, I’d not have any issue taking my family to Dub’s. PS – Savannah Red reviews Dubs in an article titled “Low Tide and Zombies at Dub’s Pub“. By the time we were in the line for Paula Deen’s Lady and Sons, at 9:35am, the line stretched half way around the block and the front of the restaurant could not be seen. We had missed getting in for dinner the previous day, because of course we could clean up first and then walk over to it. But by the time everyone was ready, there was no more seating to be had. My daughter was really the driving force for this. She wanted to go, and badly. When we got our hotel room, we asked in the hotel office where it was located. We were told it was at the corner of Congress and Whittaker (an easy walk from the Riverfront). For Lady and Sons, unless you have a party for 10, you have to line up and get your reservation in advance in person. So we came back to the hotel room and plotted. We ate the continental breakfast the hotel offered and then realized that my wife takes her time dressing, and that the rest of us had better get seating. So, we made it into the long, long line, worked our way to the front, grabbed the second of the two time slots that were left (11 am or 1:45 pm) and then went back to the hotel to kill time and play tourist on the Riverfront. When they give you your reservation, they tell you to line up 15 minutes before your appointment, but we showed up maybe 1:20 or so. They took our name, and told us to go into the waiting area through the gift shop. Now, if you’ve ever been to the Riverfront of Savannah, you’ll see Paula’s face, via a magazine or curio, in every single shop. And in Paula’s gift shop, it’s a Paula Deen flashback on steroids, because there are literally hundreds, if not thousands of items, all with Paula’s face (or sayings) on them. Thankfully our stay in the waiting area was short. We were seated in a 3rd floor corner on the back side of the restaurant, where we had a window, a lengthwise view of a bar, a view of several nearby chairs and stools. The window view would have been better if they weren’t doing construction on the adjacent block. About 20′ in front of us was a large metal wheel. When we asked where it came from, the waiter said the restaurant was a converted hardware store. Even though they were using the old elevator, they weren’t using the old pulley anymore. Our waiter was excellent. We all chose the buffet because for all of us, it was about the southern vegetables. And there was absolutely no disappointment in them. My daughter’s verdict on the macaroni and cheese was that it was “awesome”. The black eyed peas, in my opinion, could have stood alone as a dish by themselves. Yes, they were that good. The collard greens were also really really good. I went back for seconds, and my plate was basically half peas, half collards. My wife was taking her time with the green beans, and my daughter came back with the mashed potatoes. The chicken was also very good, but the vegetables were to die for. The buffet is ended with desserts, either peach cobbler, banana pudding, or butter cakes. They were all good, though my wife wished she could have gotten a larger dessert portion. I understand her feelings, but the buffet was all you can eat and people were really eating. And $13.99, for the amount of food served and where it was served, is actually a pretty fair price. Menus for this restaurant are online. Verdict: This is one restaurant that is everything it is cracked up to be. Really good meats, vegetables to die for, excellent service. I don’t say many restaurants are exceptional, but this one is, without qualifications. If you line up in the morning, you can get reservations for lunch or for dinner. No need to wait until the evening to get dinner reservations. When you’re walking the riverfront of Savannah Georgia, and your feet hurt, your body aches, and your stomach is asking for a little attention, this restaurant delivers. For one, the inside walls are beautiful: cracked masonry that reminds me of my grandfather’s houses, or a drive into Amish country in Pennsylvania. For another, the food they serve comes at a cost that doesn’t induce immediate fear and panic. This was our third visit to this restaurant, overall, and there was a wait this time, a short one. And once we were seated there was an argument as to whether we had sat in the exact same seat the last time. That ended when the waiter came. I ordered the stuffed flounder, my daughter and wife ordered shrimp po boys. We also ordered a soup to begin, the crab chowder. The chowder isn’t the pure white you might associate with a New England clam chowder. Instead there is an ounce of yellow in the color, along with bits of potato and small bits of crab. I liked it, my daughter really liked it, my wife didn’t like it – there was a ‘taste’ in it, she said. But my wife is picky about her food, and even more so when milk or cream is in food. The po boys were large, not huge, with several large shrimp each. They came with a potato side (french fries, or baked potato). My dish came with a steamed vegetable side as well as a potato. The fish in my dish was a bit more football shaped than I anticipated, but that didn’t affect the taste. The flounder was stuffed with deviled crab, covered with red spice and tasty. My wife finished her sandwich. My daughter was feeling picky, so she ate the shrimp, but otherwise picked at her food. Maybe she was thinking of Savannah’s Candy Kitchen a little further down the street. We ended with a bourbon pecan pie, which wasn’t bad at all, though I was wishing it were a little richer in pecans. Service is largely good here. Our waitress was attentive and when we were asking about desserts, quite helpful. Verdict: The Cotton Exchange delivers reliably good food for someone prowling the riverfront. Though nothing on Savannah’s riverfront is cheap, you won’t feel as if you’ve overpaid for the scenery here.